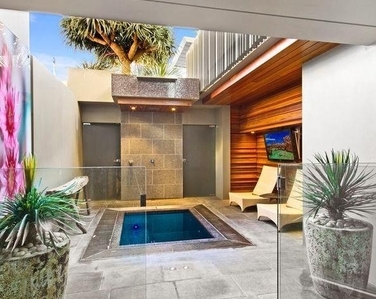 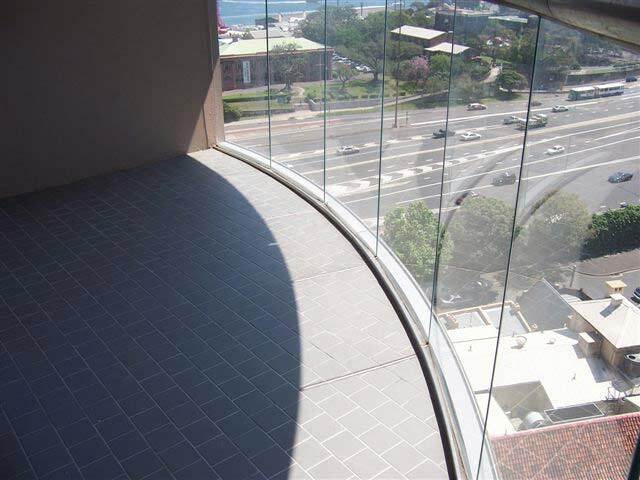 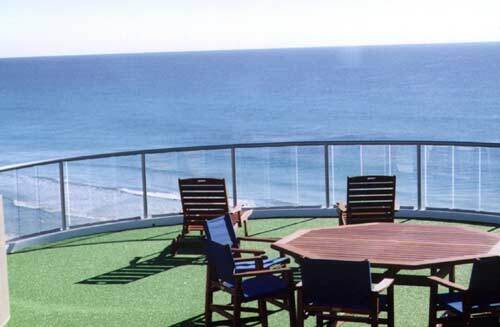 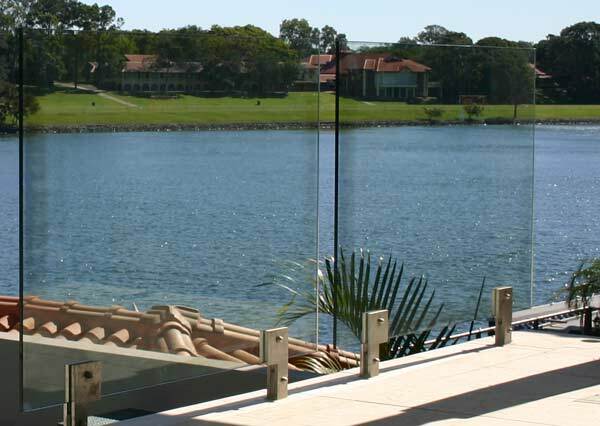 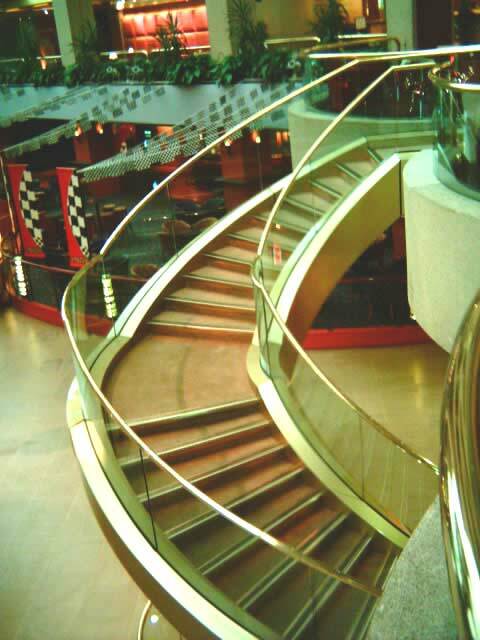 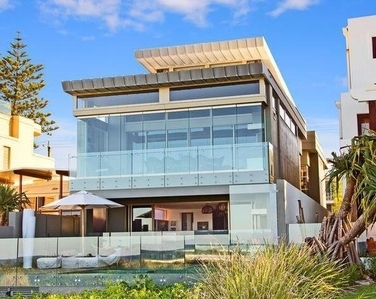 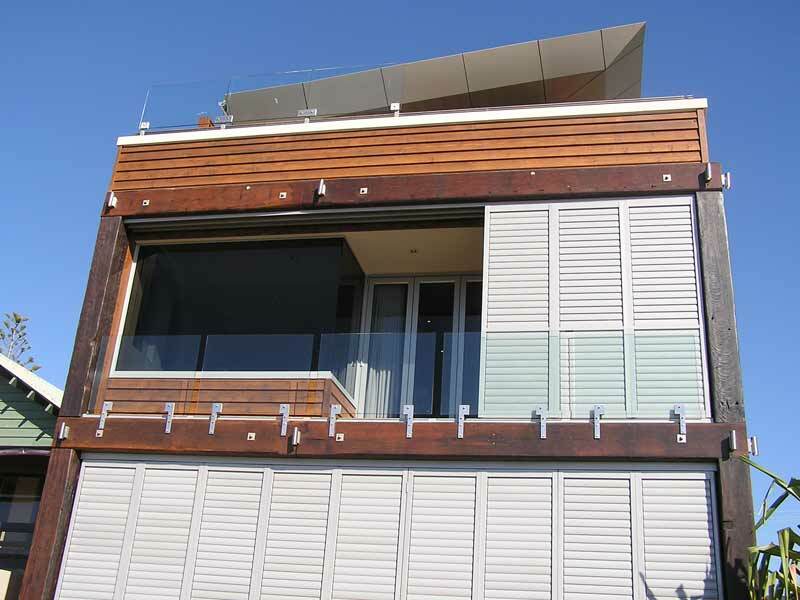 Pirie Stuctural Glass Balustrading is sweeping the Gold Coast balustrading market because of it's see-through appeal. 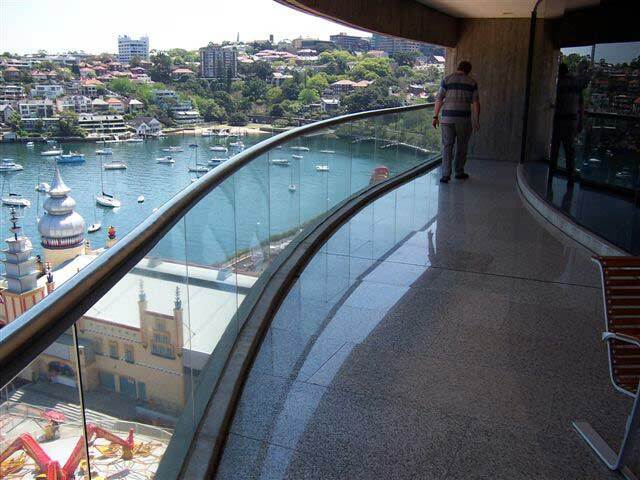 It started with only the latest up-market hi-rise apartment blocks and now has spread to anyone who likes the amazing "look" of near invisiblility. 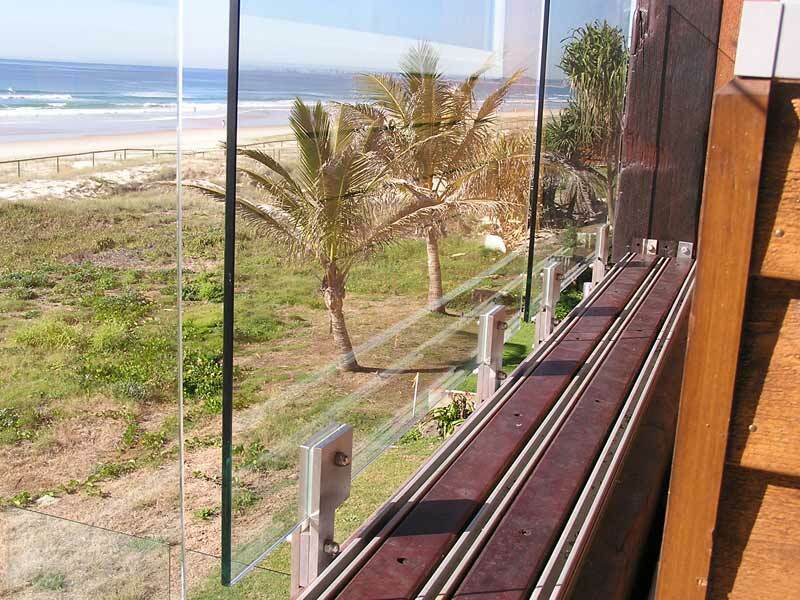 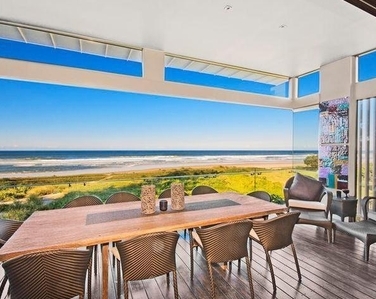 Let's face it, anyone who has a killer view and wants to be able to enjoy it fully from the verandah or deck has got to install glass balustrading! 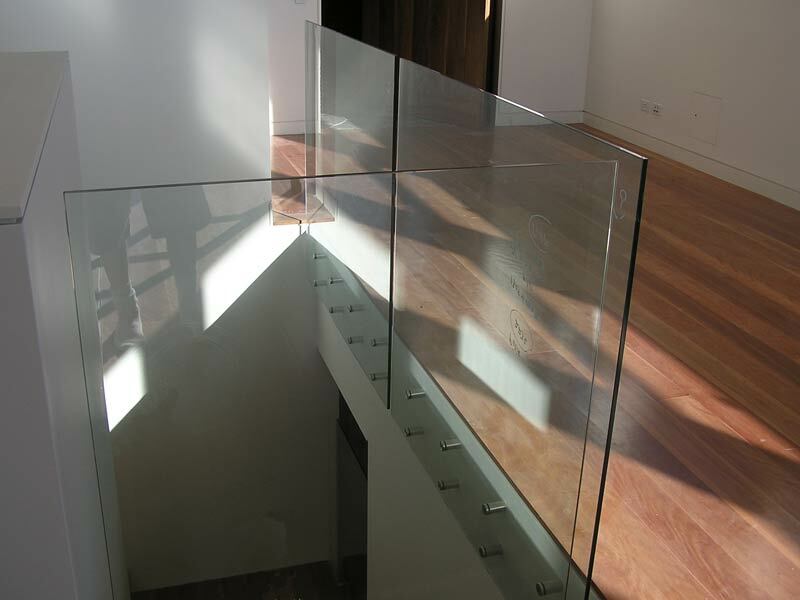 *Please note that local council compliance is the responsibility of the buyer. 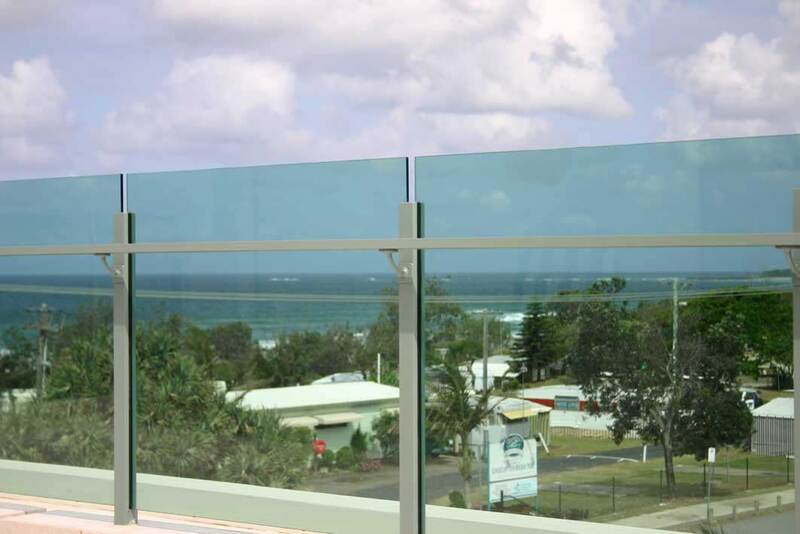 Please examine the residential and highrise glass balustrading that we have been manufacturing and installing lately by clicking on the thumbnails for some closeups. 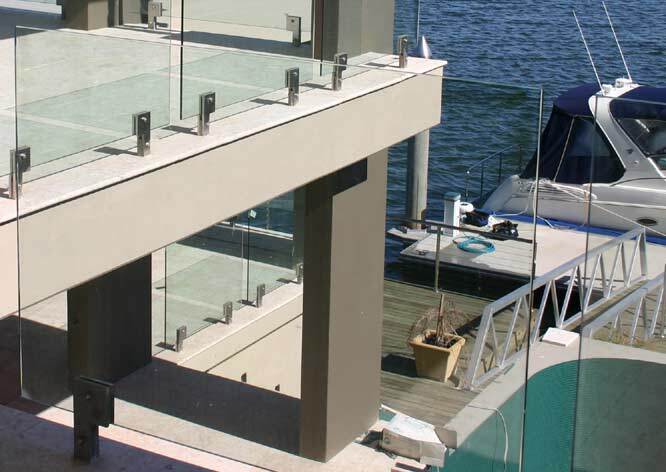 The general public has now realised that this is the way of the future in Pool fencing and general balustrading and demand at the moment is reaching new heights so be quick and get a Pirie salesman to measure and quote for your needs today! 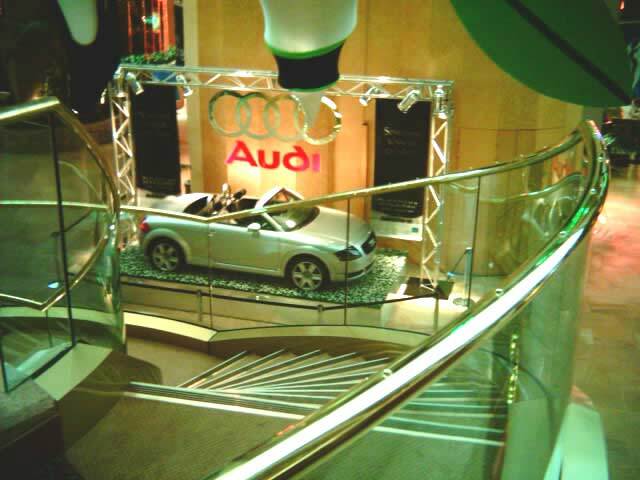 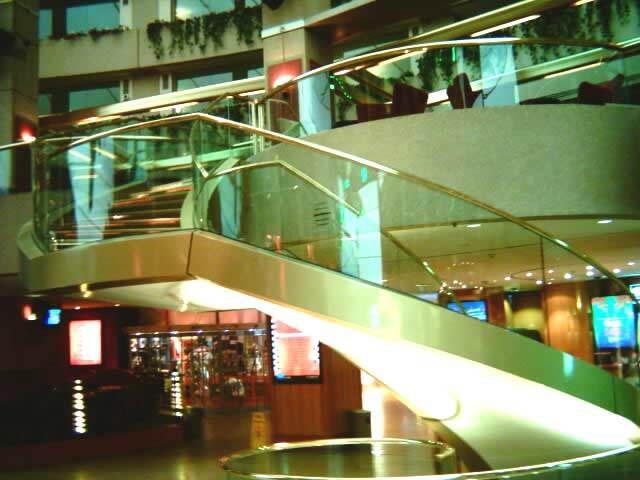 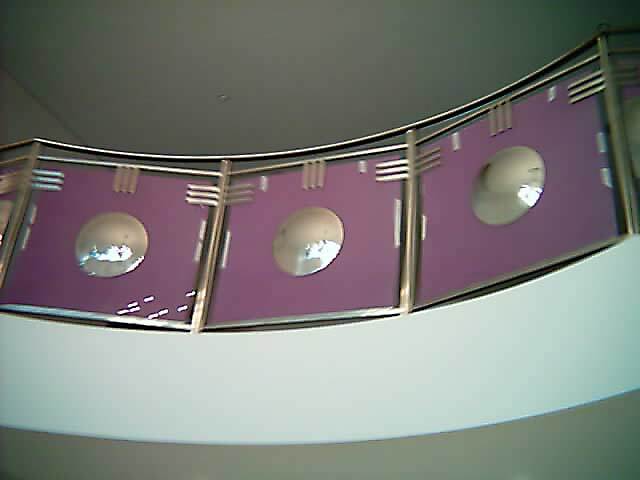 The 3 photos below are of a spectacular staircase in the Atrium at Jupiters Casino, Broadbeach. 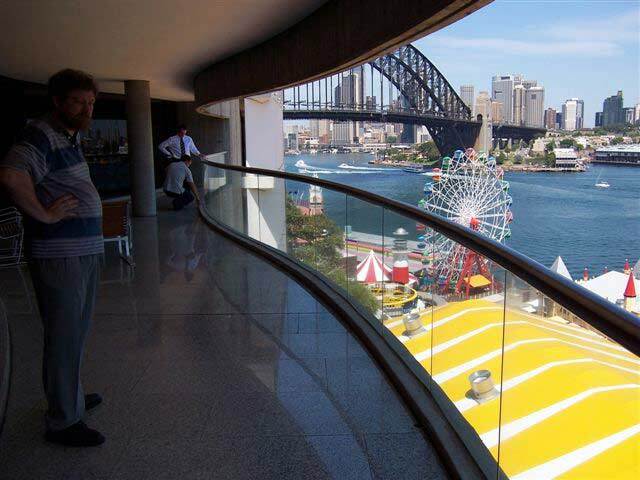 It continues Piries long association with the Conrad International Hotel in which we have manufactured and installed the highest possible quality glass balustrading. 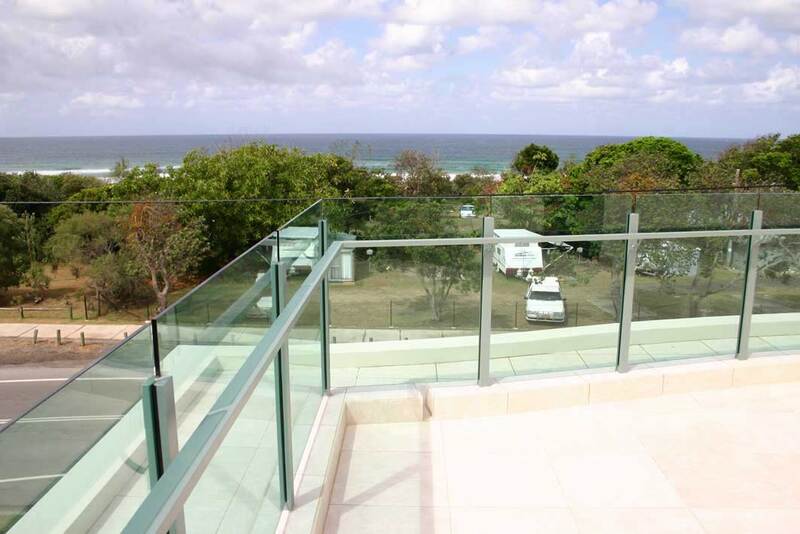 The photos above are of glass balustrading designed and installed by Pirie Enterprises at a development in Kingscliff in Nthn NSW. 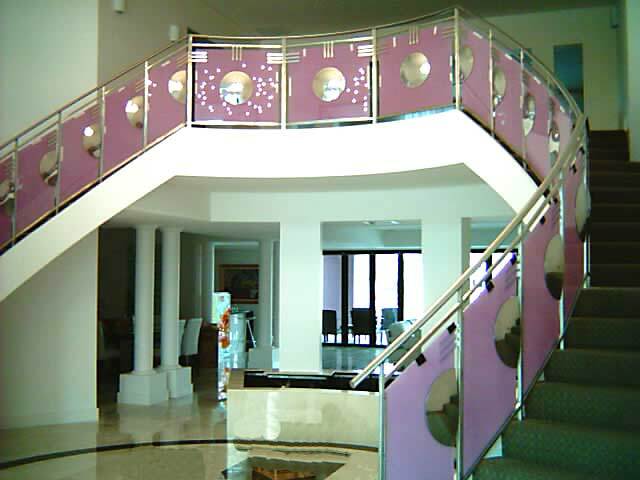 Piries offered this unique balustrading profile and it has had wide ranging approval. 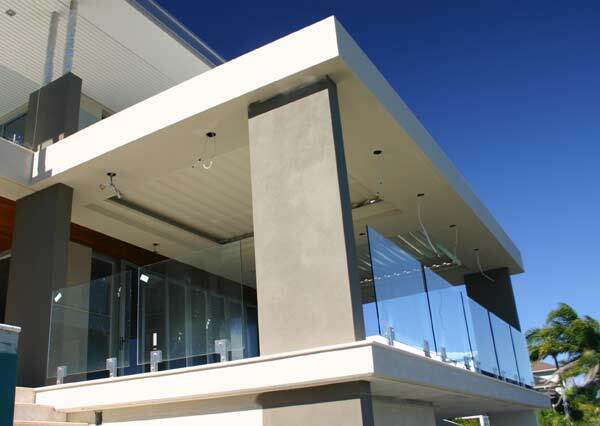 The 3 photos above are examples of style of balustrading that we offer but were not installed by Pirie Enterprises.